"The Palestine context, since 1948 up till now, has been a complicated one, because the regional context is complicated. Of course, it is complicated because the colonial West, which is particularly supportive of Israel, has always created elements which aim at one single thing. 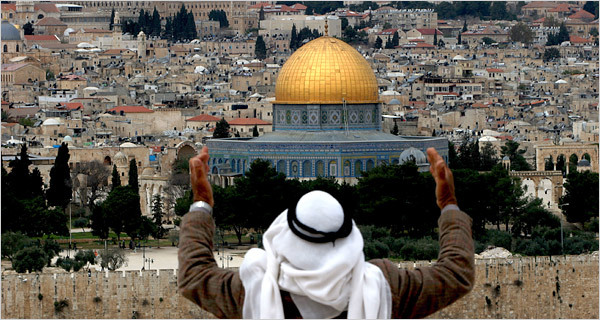 First, to drive to desperation the Arab citizen who is historically attached to the cause of Palestine and who has always considered it a pan-Arab cause that touched him even on the national level. The other objective has been to distract the Arab peoples together with states or societies in general to marginal causes so that they do not have time to think about Israel. And they have succeeded to a great extent, most recently through the so-called Arab spring which has aimed at destroying the political, military, and psychological infrastructure of Arab societies." "Nevertheless, recent development have proven that the Arab people is still conscientiously attached to the cause of Palestine. 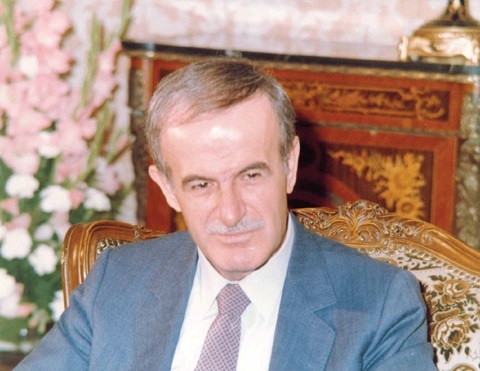 As for Syria – since it has been part of these plots to undermine the Arab condition in general – first, for Syria to support the cause of Palestine, it should first of all destroy the Israeli army in Syria. Restoring stability in Syria, striking terrorism, and foiling the Israeli plot in Syria is certainly part of supporting the cause of Palestine. The support might be indirect with direct consequences, but these direct consequences are linked to the internal Palestinian condition. We shouldn’t forget that the Palestinians are divided between groups which resist Israel and are genuinely linked to the cause of Palestine, and other groups which are against the resistance and support surrenderist and defeatist peace, while there are other groups which use resistance as a title in order to achieve their political objectives under the slogan of religion. This is of course the Muslim Brotherhood’s approach." "Politically, we haven’t changed. The Palestinian question for us is still as it was ten years ago and decades ago. It hasn’t changed. As to what we can offer, this has to do with two things: first, Syria’s current capabilities; and there’s no doubt that the priority is given now to cleaning Syria of terrorism. Second, it has to do with the Palestinian condition and the parties with which we can deal within the Palestinian arena." "the Palestinian Cause is ever our central Cause and based on the principles and reality of the ongoing in Syria and in Palestine. We are to ever stand by the resistance Palestinian People." "Did those states not support Iran under the Shah, only to stand against it when it decided to support the Palestinian people and turn the Israeli embassy into a Palestinian embassy after the revolution? " "If for the sake of argument we are to accept the notion that the concept of revolutions change, which would then make what is happening in Syria a revolution, we should then accept that the Israeli acts against Palestinians constitute an Israeli revolution against Palestinian oppression, or that the American invasion of Iraq and Afghanistan was a revolution." "There are countries in the region, Arab and others like Turkey for instance, which have bartered a position for themselves on the Arab and Islamic arena through their ostensible support for the Palestinian cause. It appears that this position has gone far beyond the boundaries allowed by their masters - the large powers, thus forcing them to find a credible retreat. Syria’s transparent position on different issues, including the Palestinian issue and the cause of rights and dignity, exposes these countries and is a source of embarrassment for them." From H. E. President Bashar al-Assad's interview with the Syrian al-Ikhbariya TV Channel, April 17, 2013. "The people and state who bore the brunt of standing with the Palestinian people in their just cause for decades, despite all the challenges and costs that every Syrian citizen has paid materially and emotionally in terms of pressures and threats, cannot be but in the same place towards Palestinians." From H.E. President Bashar Al-Assad's January 6th, 2013 Speech. "Any attempt to implicate the Palestinians in the Syrian events is aimed at deflecting attention from the main enemy, and is stillborn. The Palestinians in Syria are doing their duty towards their second homeland like any Syrian. We are responsible, as Syrian people and state, for doing our duty towards them as towards any Syrian citizen. I salute every honest Palestinian who valued the Syrian stances and did not treat Syria as a hotel which he leaves when conditions get a little tight." 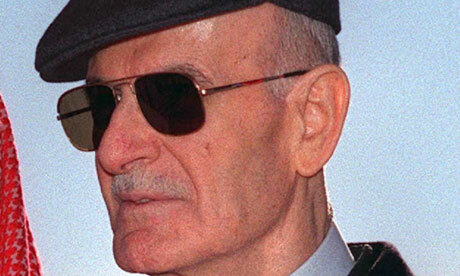 "the Palestinian cause is the core of all causes in our region, particularly the Arab region, and if the Palestinian issue isn't resolved and if the rights aren't restored, then there would be no changes in positions even if one waited for generations, adding " now we are speaking about the third or fourth generation since the occupation of Palestine, and the positions didn't and will not change. " "Has the Arab league returned one olive tree uprooted by Israel or prevented the demolition of one Palestinian house in occupied Arab Palestine?" From H.E. 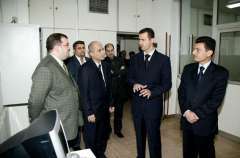 President Al-Assad's Damascus University Speech, January 10, 2012. "Who, more than Syria, has offered to the Palestinian cause in particular?" "Defeat is not necessarily military and it might come true if they succeed in making us withdraw to internal conflicts and forget about our bigger issues on top of which the Palestinian Issue." "We believe and we hope we are true that these changes will lead to altering the track the Palestinian cause has been following over probably three decades, which is the track of concessions, to the track of commitment to rights,"
From H.E. 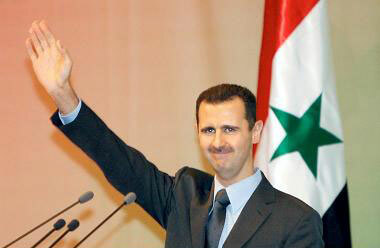 President Bashar Al-Assad's a Speech at the People's Assembly March 30, 2011. ''We believe and we hope we are true that these changes will lead to altering the track the Palestinian cause has been following over probably three decades, which is the track of concessions, to the track of commitment to rights." "Israel continues its systematic killing of the Palestinians in Gaza and all the Palestinian territories, perpetrating aggressions against the Palestinians in the 1948 territories." "The Israeli siege on Gaza is continuous, and juadizing Jerusalem is a racist process that can not be separated from Israel's latest racist and fascist laws which stipulate for a 'Jewish state' and the 'oath of loyalty' to the Jewish state." "When we want to negotiate we have to adhere to the rights, and the negotiator should be supported by his/her own people before any other side, and she/he should take responsibility before his/her people and their future." "We don't expect anything about the negotiations- Palestinian-Israeli-.. First because this Israeli government expresses an increasing and mounting extremism in the Israeli street.. when extremism is a general state in Israel.. I don’t think there is anyone who is able to offer any real thing to the Palestinian, Syrian or Lebanese sides.. Second, the speech now in Israel revolves around the judiziation of the Israeli state, and this is dangerous issue.. What about the Arabs of 1948… the issue of peace became a matter of settlements, not land, which means that all the Palestinian issue was abbreviated to a number of settlements. It is impossible to be a man of peace and be criminal at the same time.. Gaza Siege, killing the Palestinians; aggression on the Freedom Flotilla… all these issues can't lead or show a will in peace." “If Israel is ready to return the Golan, we can not say no to a peace treaty. However, only a comprehensive solution can guarantee true peace. An agreement limited to Syria and Israel will leave the Palestinian issue unresolved. Rather than peace, it will be a truce. With some five million Palestinian refugees scattered around the Arab world, tension will remain strong. There is popular solidarity with the Palestinians. They will keep fighting for their rights”. "They – Hamas- are influential. That is most important. So they have to be brought to any action, otherwise it will not succeed,"
"Stop launching rockets means stop assassinating Palestinians by your helicopters and your planes." "We cannot talk about the same condition, like what happened a few years ago. Otherwise, we'll keep moving from a cease-fire to another conflict to another breaking of this cease-fire and so on. The more blood you have, the more difficult to talk about peace will be." "The support –for Hamas- is political, the support of their cause,"
"They are under aggression ... actually what they do is respond, they don't start. So we support their cause. We support the Palestinian state, independent Palestinian state, and we support their position to defend themselves." "Our relation with Hamas can not be at the expense of our relation with Palestinian President Mahmoud Abbas or Fatah Organization. We have historic ties with Fatah and the Palestinian National Authority (PNA). Our aim of all such relations is to achieve Palestinian unity without which the Palestinians will be unable to set up their state." "Israel is swallowing up the Palestinian lands, and the Palestinian people are being killed and besieged at a time Israel, backed by the American administration, violates the international law as well as principles incorporated in the UN Charter." "Syria’s doors are open, but meetings should have objectives, an agenda and certain direction… Syria’s approach is known. We always support Palestinians despite all developments."